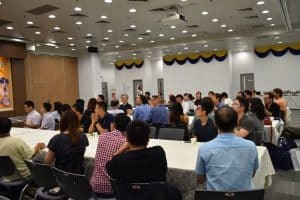 A Successful Conference in Hong Kong. 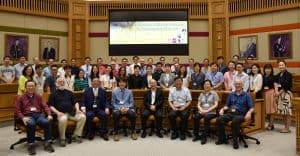 We had a successful conference at the Hong Kong Baptist University from July 11 to 13, 2017. During the period of this conference, all members confirmed the revised constitution and bylaws of EASSSR and the 2018 annual meeting in Singapore. For the 2018 annual meeting, Prof. Lily Kong, provost of Singapore Management University, takes charge of preparing and organizing the meeting. 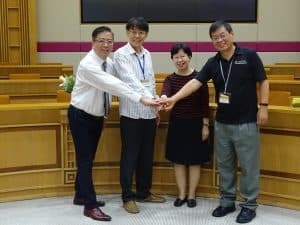 Following this conference, the preparatory committee of EASSSR selected Dr. Fenggang Yang as the first President and Dr. Jae-Ryong Song as Vice-President for the next two year. Especially all participants in this conference really thank Prof. William Ng. for providing great meals and field trip of a Buddhist temple in Hong Kong.